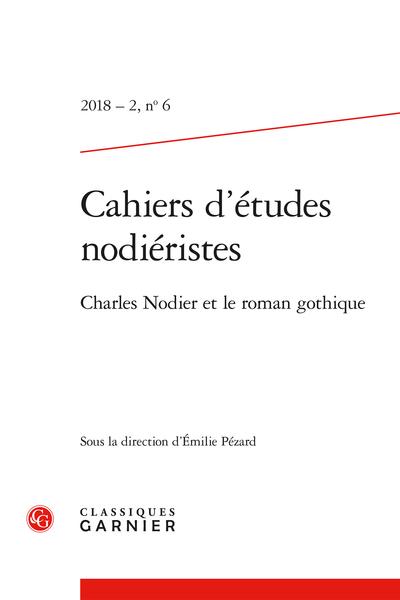 Abstract: Nodier wrote that “Originality is increasingly rare in literature.” The use of hackneyed Gothic elements may be a response to the demands of engaging with the issues he raised about originality. At a time when the image of the Gothic castle had become banal, what interest motivates Nodier to exploit this motif? Analyzing the role played by the castle in his imaginary shows that he treats the Gothic space as a frame of action and as a site where the human psyche can be investigated.